XTZ 99.25 MKII is the center speaker in the XTZ "Top of the line" series, equipped with SEAS Excel drivers ensuring an absolutely clean and transparent reference class performance. 60 years of experience support these drivers. The 99.25 MKII uses a ribbon tweeter, providing superior transient response and a very flat frequency graph. In designing the 99.25 Mk II , the engineers at XTZ wanted to see if they could take the price/performance ratio to the next level. For XTZ 99.25 MKII they browsed and later selected the very best components. The goal was a bookshelf speaker with top qualities, and as little sound coloring as possible, combined with a finish not seen in the price range before. When the XTZ 99.25 was constructed the resulting quality of the loudspeaker had a greater importance than the resulting cost. Still they claim to say that with the right skills and production volume, it is possible to obtain a great deal of High End quality without making the price of the speaker so high that only a few people can afford it. XTZ 99.25 MKII is the center loudspeaker of the XTZ 99 MKII loudspeaker series. 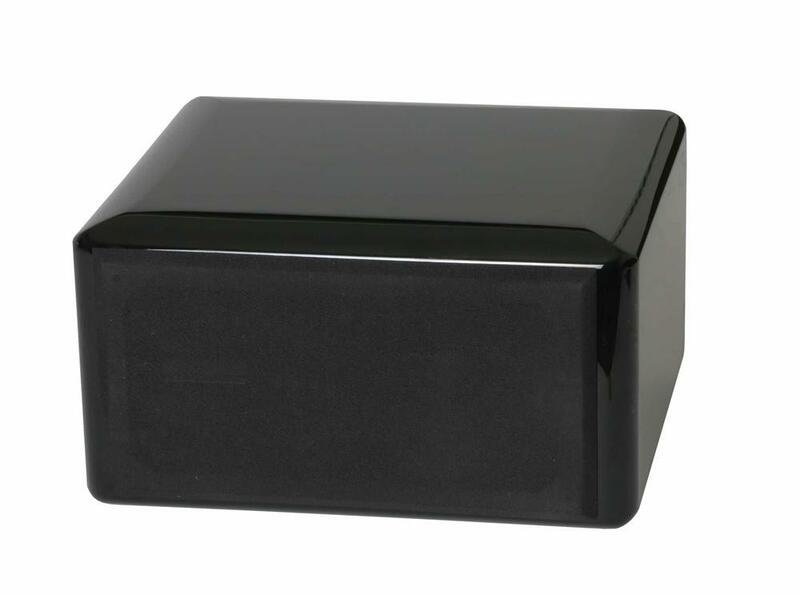 It may be used as a front speaker on a stand, satellite speaker or as a center unit since it is . 99.26 MKII and 99.25 MKII is the same speaker except the shape of the cabinet. The cabinet is constructed with a thin baffle - not only an estetically neat shape but also an advantage in terms of sound reproduction since you get a more stable construction which effectively reduces cabinet resonances. The cabinet is made in 25mm MDF board, which has good sonic qualities. The cabinet is further strengthened with internal bars, which in enhances stability. 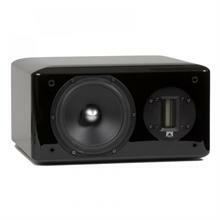 XTZ have selected a ribbon tweeter that provides superior transient response and a very flat frequency response. The ribbon cone is super light and only 18 microns thin. It is a sandwich construction of rosin-aluminum-rosin that has been hardened at 320 degrees celsius. The magnet system consists of 2 rows of high-efficient neodymium magnets in a moulded chassis of ceramic carbon steel. Fishbone shaped contactors in aluminium yields a low connection resistance and good heat dissipation. The driver has a high power durability and handles frequencies up to 40000 Hz which makes it DVD-Audio and SACD-ready. After evaluating a large number of drivers from different manufacturers XTZ selected one from Seas, a company that has a solid reputation in the area of high quality speaker drivers. You find Seas drivers in many well-known High End speakers. For woofer/midrange they decided on a 6,5" magnesium driver from the Seas Excel series that have extreme performance. It is their claim that finding a better 6,5" driver on the market is a very difficult task. The surface treated magnesium cone is extremely light and still extremely stiff and effectively reduces resonances. The rubber surrounding makes sure that no edge resonances are present. The moulded metal basket is a "high flow" type that is acoustically transparent and with high precision since the basket is shaped exactly due to moulding. This makes sure that the basket is very stable and efficiently reduces resonances. The basket is absolutely non-magnetically, which contributes to a higher efficiency of the driver. A strong magnet combined with the light cone ensures high efficiency and a good transient response. Heavy copper rings mounted above and below the T-shaped pole piece reduces non linear and modulation distortion and increases the overload margin. The magnet systems are equipped withheavy copper rings and a copper phase plug which reduce fluxmodulation and eddy current distortion. The phase plug also guidesthe sound waves from the driver to the listener and reducescancellations which creates a smoother frequency response. Large windows in the basket both above and below thespider reduces sound reflection, air flow noise and cavity resonances. The crossover is a two way –12 dB Linkwitz/Riley-filter, that has a fast transient response and minimum phase shiftings. The crossover filter is made from quality capacitors and coils with low resistance. It's designed to allow adjustments of the tweeter level to have a perfect adaptation to the room. Read more under the heading of Room Tuning. 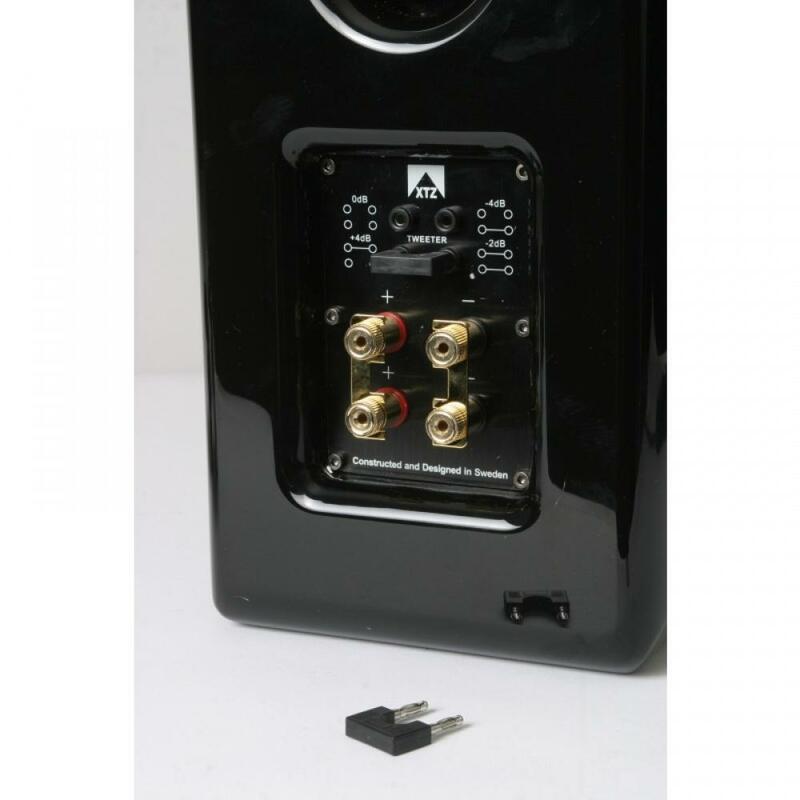 The connectors are gold plated and of bi-wiring type so that you can connect to the amplifier with double cables (bi-wiring), or connect to two amplifiers (bi-amping) to further improving the sound. Gold plated terminals reduces contact resistance and serves asanti-corrosion. To perfectly adapt the speaker to your room and / or preference we have equipped the XTZ 99.25 MKII with Room Tuning. By using the supplied bass reflex plugs, it is possible to mechanically alter the lower boundary frequency on XTZ 99.25 MKII. This makes it possible to alter the sound character of the speaker. You can chose from two different sound shapes in the bass range by using the bass plugs. These settings also depend on the size and shape of the room, and also on your own preference, so please have patience when trying out your preferred setting. With the bass plug mounted in the bass reflex port, the cabinet is closed and the loudspeaker operates as a closed construction. With no plug present in the port you get a higher bass level and the loudspeaker is capable of handling lower frequencies. In the treble range the level is adjustable in four different steps using the supplied loop connector. Tweeter: Ribbon tweeter, SACD/DVD-Audio-ready, Sandvich ribbon cone inaluminium, neodymium magnets, chassis made in ceramic carbon steel. Woofer / midrange: 6,5" SEAS Excel, Magnesium driver, moulded "high flow" driver basket, powerful magnet. 2000 gram, shielded. * Bassreflex, can be set to closed box (Room Tuning). * The trebble level is adjustable in 4 different modes. * Tweeter can be rotated.